So this post is starting to get a bunch of traction, and I wanted to expand more on what has worked well for me personally and give some insights on the upgrades. 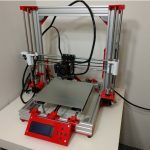 First and foremost, I have used several different 3d printers and for the money, the ANET A8 has performed beyond my expectations. GT2 fiberglass reinforced belt. Proper tensioning and strength is super important for accurate high-quality prints. Some of the inexpensive Chinese Prusa knockoffs have rubber belts that stretch. This is HUGE, currently one of the better upgrades for your machine. Wow, Wow, Wow. This is the second best (possibly THE best) upgrade I have done to my printer. 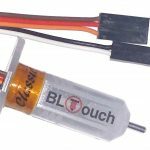 While there are several different auto bed leveling sensors, I can safely say the BL-touch is fantastic. It works with any type of bed, so those who have upgraded to a glass bed, it will still function. While there is a common misconception that the auto-bed level will prevent any more bed leveling it does account for any warpage or small imperfections in the levelness of your bed and will increase your print quality noticeably. 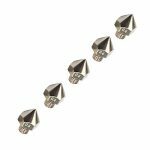 This is my favorite upgrade, it noticeably increases stability and adds uncompromised strength and modification options. The popular AM8 Metal extrusion upgrade utilizes 2040 extruded aluminum. The total cost for this upgrade ran right around $60 USD. The build guide and Build of Materials are available through the link. You will also need an M5 Tap to complete this upgrade. Altogether, totally worth the additional cost. I have compiled a list of printable parts for the A8 to help with print quality. not printable, but highly recommended: a glass plate or mirror tile from the hardware store. no need for expensive borosilicate. This entry was posted in 3D Printer on April 27, 2017 by Mike McBrien.